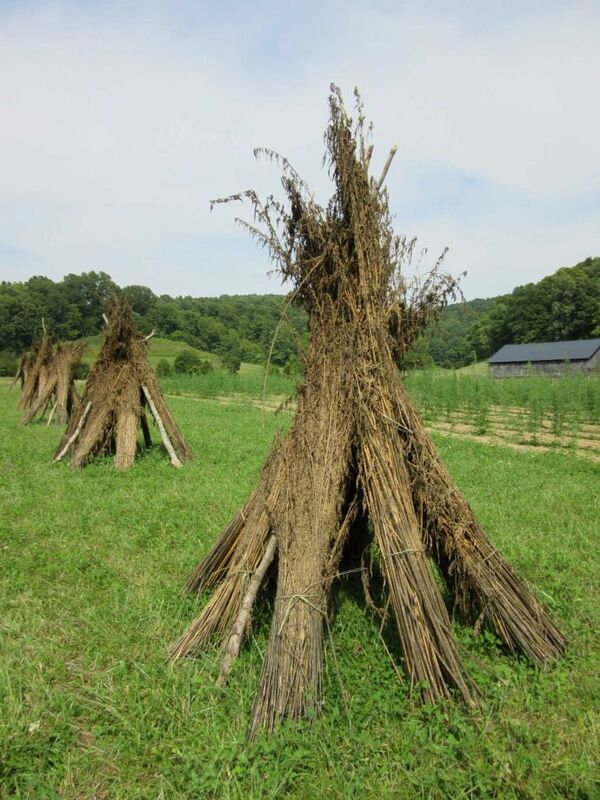 Undoing nearly a century of narcotic propaganda against industrial hemp is no easy matter. Yet, surprisingly, a bipartisan effort in Congress resulted in the first crack in hemp’s prison wall — the farm bill of 2014 redefined the harmless herb as just that. But that definition is only good if it’s grown in state-sanctioned research programs, which are limited. The Industrial Hemp Farming Act of 2015 was introduced in the Senate (S134) earlier this month with bipartisan co-sponsorship. The House bill, also bipartisan, will be reintroduced this week. They need support. These bills are simple: They redefine Cannabis sativa with an essentially inert THC level of 0.3 percent or less, dry weight, as industrial hemp and remove it from the narcotics list in the Controlled Substances Act of 1970. THC, or delta-9 tetrahydrocannabinol, is cannabis’ psychoactive chemical. Marijuana, with a THC of 10 to 30 percent, isn’t addressed in these bills and would remain listed in the CSA. Hemp law today is gray. Creating some of the confusion is the August 2013 “Cole memo” from Deputy Attorney General James Cole. Hemp is not mentioned: To the Department of Justice, it’s still the same as marijuana. The memo indicates that the DOJ, and, therefore its police, the Drug Enforcement Agency, will concentrate on cannabis cases involving any of eight characteristics: minors, gangs, guns, interstate commerce, piggybacking other drugs in marijuana deals, drugged driving and possession or growing on federal land. While the inference is that the DEA will let other cases slide, there are no guarantees, and, in fact, the memo says as much. A later version of the advisory is more chilling, economically. Several pages deal with its hard-core approach to anything resembling money laundering. “funds 'derived from’ marijuana-related conduct can also serve as a predicate for prosecution. … Financial institutions that conduct transactions with money generated by marijuana-related conduct could face criminal liability.” Again, it’s well to remember there is no distinction here between hemp and marijuana. The caveat in all versions of the memo is this: The DOJ’s guidance “rests on the expectation” of strong local enforcement. And if it sees a lack? So much for the memo. Further, the DEA, though removed by Congress from policing hemp in farm bill pilot programs, and though its policing funds have been restricted by Congress, has twice seized certified low-THC hemp seed in farm bill pilot projects, and it continues to police farm bill seed transport. The Senate and House bills are simply worded, and take one step at a time — the legalization of industrial hemp. It is up to our senators and congressmen to move the final bill to the president. And it’s up to the president to finally bury America’s antiquated and unfounded fears by signing it. Agriculture: It takes little water and no pesticides and could become a viable rotation crop throughout the U.S.
Manufacturing: The plant core can be used in high-impact plastics and products like “hempcrete” and other construction materials, and the fiber is a sustainable resource for textiles, paper and building products. Seed and seed oil: Used in soaps, cooking oils and high-omega foods and food supplements. Leaf and flower extracts: CBD, or non-psychoactive cannabidiol, is an ingredient in cutting-edge medicines to treat seizures and other severe maladies.